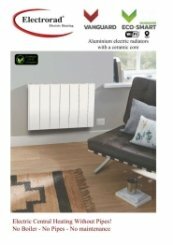 The traditionalist, Electrorad’s electric radiators are immediately recognisable and incredibly effective. The company supplies a British manufactured range but has also selected internationally popular products and made them available to UK based wholesalers. Supplying heaters since the turn of the century, Electrorad was the first company to import German fireclay cores. They believe in their products and evidently so do the users as the brand is rapidly growing. 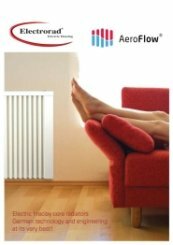 Prevalent commercially because of their large heat-retentive design, Electrorad radiators offer a range of functions and a very long warranty of up to 30 years. 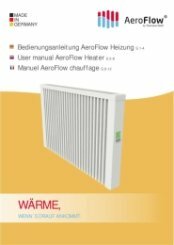 Heater Shop provides the Digi-Line, Aeroflow and Vanguard range, Electrorad’s latest and most advanced heater line. Utilising premium energy saving technology, the ranges are 100% controllable and 100% efficient. Control individual zones with digitised radiators, and lower electricity bills by tailoring the system to the user’s schedule. The Digi-Line suits any residential or commercial aesthetic, appropriate for the conservatory or other poorly insulated areas. Single panel and double panel radiators are available and both have convection fins to ensure the perfect balance of radiant and convected heat. It utilises both radiant and convection heating, allowing the heater to quickly and evenly distribute heat. Installation is made simple with a plugin and go arrangement. 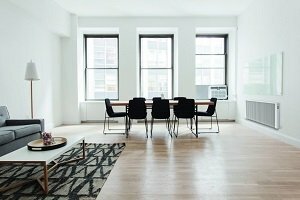 The Aeroflow range offers great diversity, with larger and more powerful models available, able to provide efficient heating to difficult spaces such as hallways and stairways. 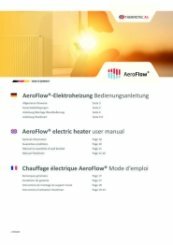 Featuring a plethora of functions, the Aeroflow conserves and radiates heat efficiently due to its German fireclay core, continuously generating effective warmth. With the longest warranty on the market, the Aeroflow is an extremely reliable product range. Possessing a collection of energy saving features, the Vanguard’s eco-design encompasses open window sensing, adaptive start function, and an energy consumption monitor. The ceramic core offers brilliant efficiency, warming cold air drawn from the floor to be channelled out the top-sided grille. A fully controllable timer is located at the top of the radiator which is used to access 24/7 timers. The Creda Vanguard focusses on a positive environmental effect by being Lot 20 compliant and containing 100% recyclable aluminium. Invest in Creda for economical and effective heating, offering excellent comfort and control. Great to hear, thank you very much for the 5 star review. A high quality product which delivers everything and more than we expected in performance and appearance. 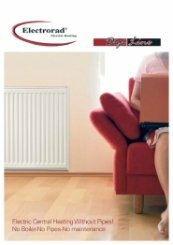 A first class service from beginning to end, from advising on the best radiator for our requirements, to delivering it exactly on time and at a very competitive price. I will certainly be using them again when the need arises.